New ‘realities’ are emerging. 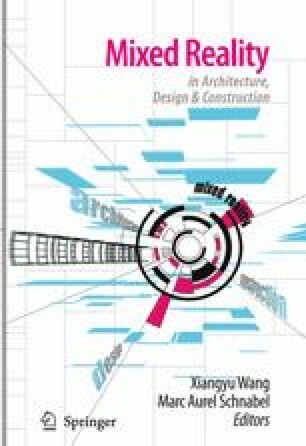 Novel concepts such as Mixed Reality, Augmented Reality and Augmented Virtuality and their supporting technologies influence architecture, design and construction. These realities replace or merge with the normal physical world and they can be tailored to enhance comprehension for specific design and construction activities. The various realms, their research and applications and their relevance to the field are presented and critically reflected upon. Finally the Reality-Virtuality Continuum is analysed regarding its engagement, abstraction and information overlay.